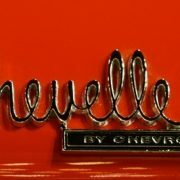 The Chevrolet Chevelle pronounced “shevell” is a mid-sized automobile from Chevrolet debuting in 1964. 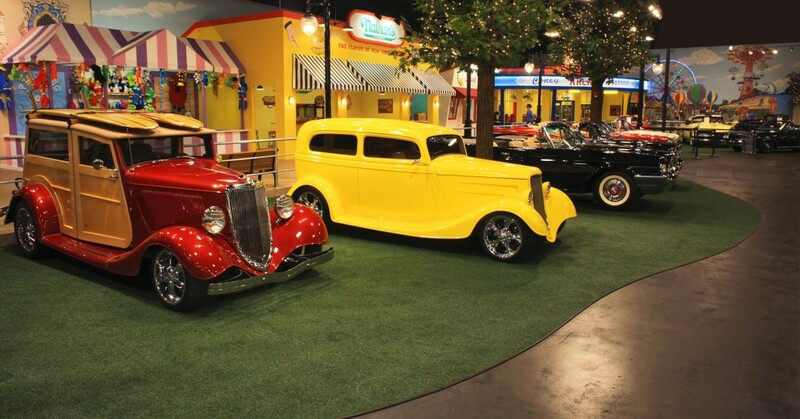 It was produced from 1964 through 1977 and was one of General Motors’ most successful cars. 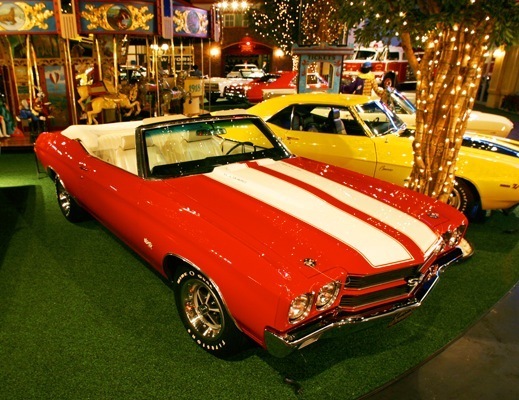 Chevelle models ranged from economical family cars to powerful coupes and convertibles. 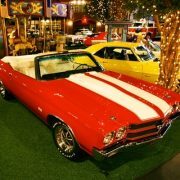 The Malibu was at first the top trim level of the Chevelle line, and it replaced the Chevelle name entirely after 1977. 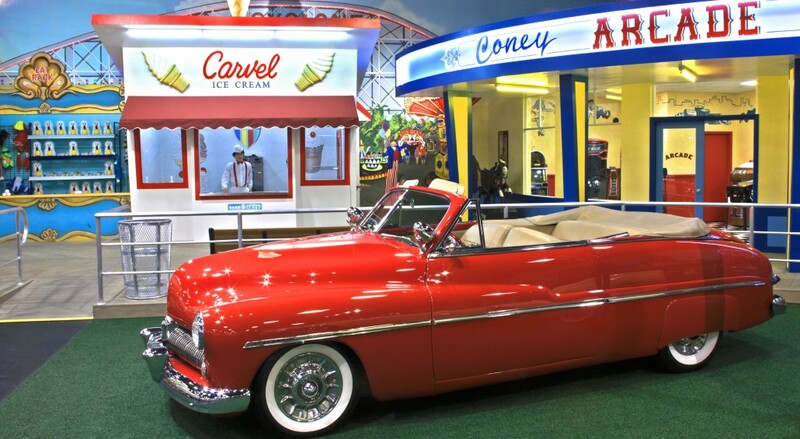 The Chevelle chassis (based on the reengineered GM A platform) provided the platform for the Chevrolet Monte Carlo, a very successful model itself. 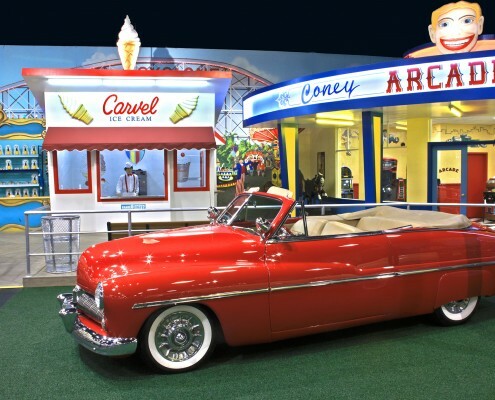 The Chevelle was intended to compete with the similarly sized Ford Fairlane, and to return to the Chevrolet lineup a model similar in size and concept to the popular 1955-57 models. 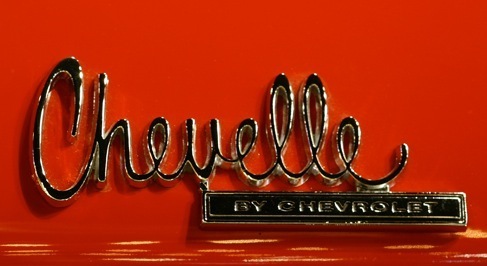 Early design photos show what would eventually be the Chevelle wearing Nova nameplates, the name that was used for the top trim level in the smaller Chevy II series. 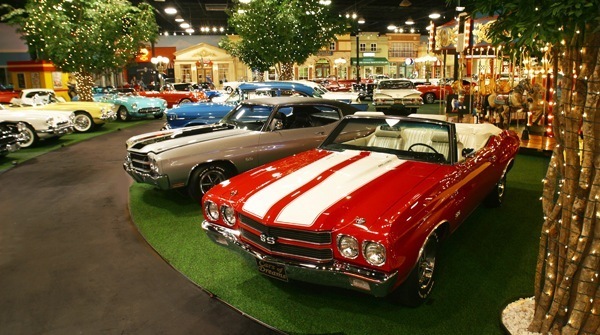 From 1964-69, the Chevelle was the basis for the similar Beaumont, a re-trimmed model sold only in Canada by Pontiac dealers. Four-door hardtops, dubbed Sport Sedans, were available from 1966 though 1972. A two-door station wagon was available in 1964 and 1965 in the bottom-line Chevelle 300 series. A utility pickup, the El Camino, was part of the lineup and, depending on the year, was available in 300/300 Deluxe trim level, Malibu trim level and the one-year only SS396. The El Camino outlived its passenger car counterpart until its demise in 1987. 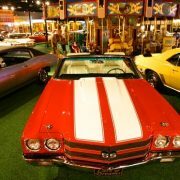 The Chevelle SS represented Chevrolet’s entry into the muscle car battle. Early 1964 and 1965 Chevelles had a Malibu SS badge on the rear quarter panel (the sought-after Z16 option had the emblem on the front fender, where 201 Malibu SS 396s were produced); after 1965, the Malibu SS badging disappeared except for those sold in Canada. 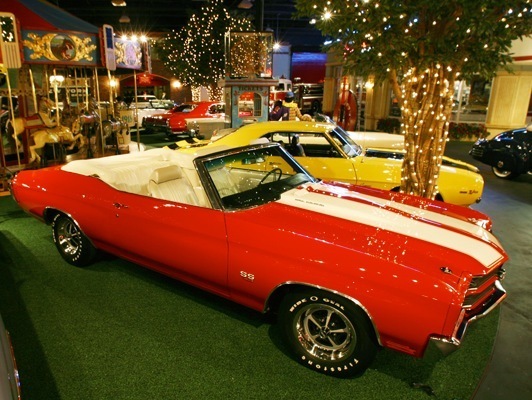 The Chevelle SS, which became a regular series of its own in 1966 called the SS 396, was the high performance version and had its own line of engines and performance equipment. The performance engines available included 396 in V8s – rated at 325, 350 and 375 hp respectively (the mid horsepower 396 was rated at 360hp for 1966 only and 350hp thereafter). The SS396 series only lasted three years from 1966 through 1968 before being relegated to an option status just like air conditioning or a radio. The 1966 and 1967 model years also saw the limited run of the ‘strut back’ 2-dr sport coupe with its own model number, 17, as opposed to model number 37 used on previous and later 2-dr sport coupes. The 1968 model year was the first and only year of the SS396 El Camino with its own series/model identification of 13880. Almost all the goodies (big block engine, suspension, transmission options, etc.) of the SS396 could be ordered on the 1966 and 1967 El Camino but, sadly, the SS396 series El Camino was not available until (and only in) the 1968 model year. As with the 300 Deluxe and Malibu in 1969 and only the Malibu from 1970 to 1972, the SS option could be ordered in the El Camino as well. 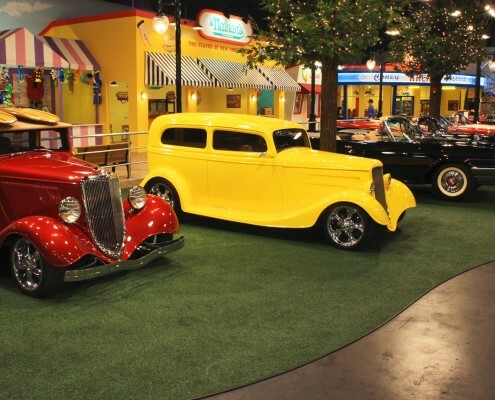 Two prototype Z16 Chevelles were built at the Baltimore plant and all regular production Z16 Chevelles were built at the Kansas City plant. Whether these 2 prototypes and the 1 reported convertible are included in this 201 figure isn’t known. 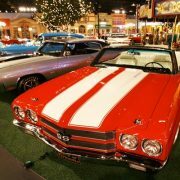 The 1 convertible was reportedly special built for Semon “Bunkie” Knudsen but is commonly called the 201st Z16 Chevelle. 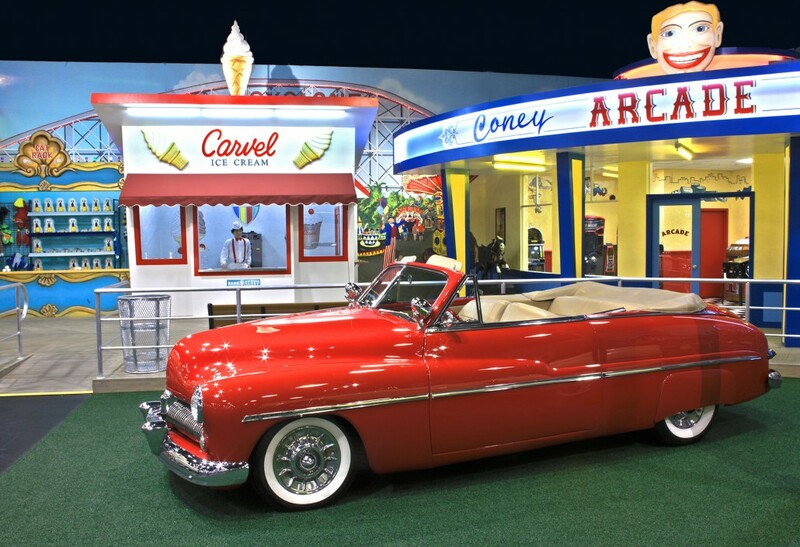 Unfortunately there’s no known documetation available on this car and to date no known photos of it have surfaced which leaves its existence in question. 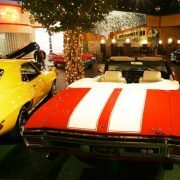 For Chevelle enthusiasts who wanted a high-performance mid-sized car but with a hot small-block V8, rather than the big-block found in the SS 396, the regular Chevelle and Malibu models were available with a 350-horsepower 327 cubic-inch V8 (option code L-79) in 1965 and 1966. That same engine was also offered for 1967-68, but downrated “on paper” to 325 horsepower, the same as the standard 396 found in the SS 396. 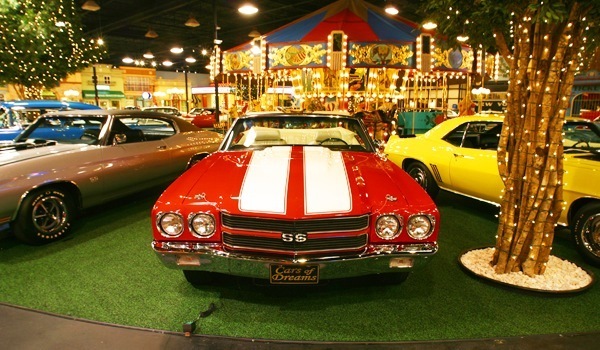 For the 1969 model year, the SS396 series (138xx) was dropped and the Super Sport became a performance option. 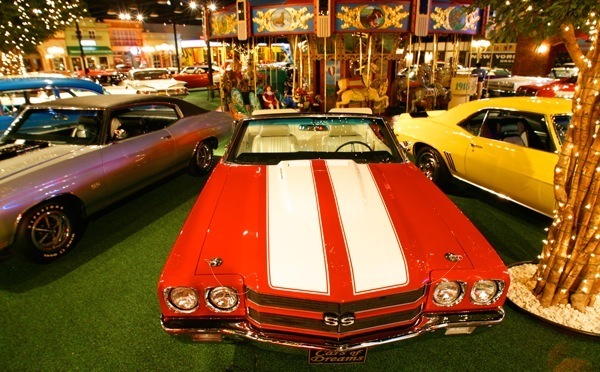 In 1969 the SS option could be orded on the 300 Deluxe 2-dr coupe (13437) and 2-dr sedan (13427) as well as the Malibu 2-dr sport coupe (13637), convertible (13667), and El Camino (13680). 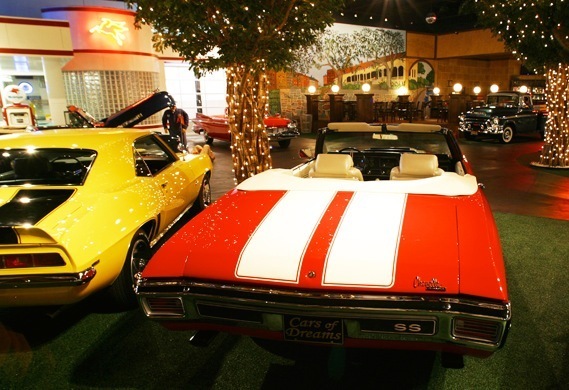 In 1970 the SS option was limited to the Malibu series (2-dr sport coupe, convertible, and El Camino). In both 1969 and 1970 the SS option included the 396/402 as the base engine keeping the option alive as a performance-oriented choice. This changed in 1971 when the SS option could be ordered with any optional V8 and became more of a dress-up option than a performance option. Prior to 1970, GM had a restriction stating that no mid-size car could have an engine with a displacement over 400 in, though some inventive people figured out ways around this through the dealership; 1968 and 1969 were the times of the COPO (Central Office Production Order), in which a car was ordered by the dealer with a larger than allowed engine in it for racing purposes. In 1970 GM dropped the displacement rule, and that was when the bigger engines were available as regular production options, resulting the addition of an SS 454 line option to the existing SS 396 option. The first change was that the 396 engine was bored out to 402 in , but the car kept the 396 badging as so much advertising had been put into the 396 namesake that they didn’t want to change it. 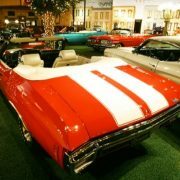 Most notable was the 454 in LS5 V8 rated at 360 hp and the LS6 at 450 hp. 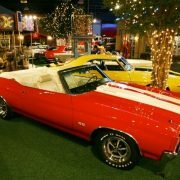 It was the 454 that made the Chevelle a legend. 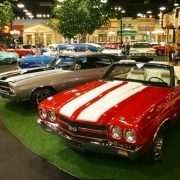 The LS6, with 450 hp and 500 ft/lbf of torque, would rocket the Chevelle through the 1/4 mile in low to mid-13 second times at 105 to 108 mph. For 1971, GM mandated that all divisions design their engines to run on lower-octane regular, low-lead or unleaded gasoline due to tightening emission requirements and in anticipation of the catalytic converter that would be used on 1975 and later models, necessitating the use of unleaded fuel. 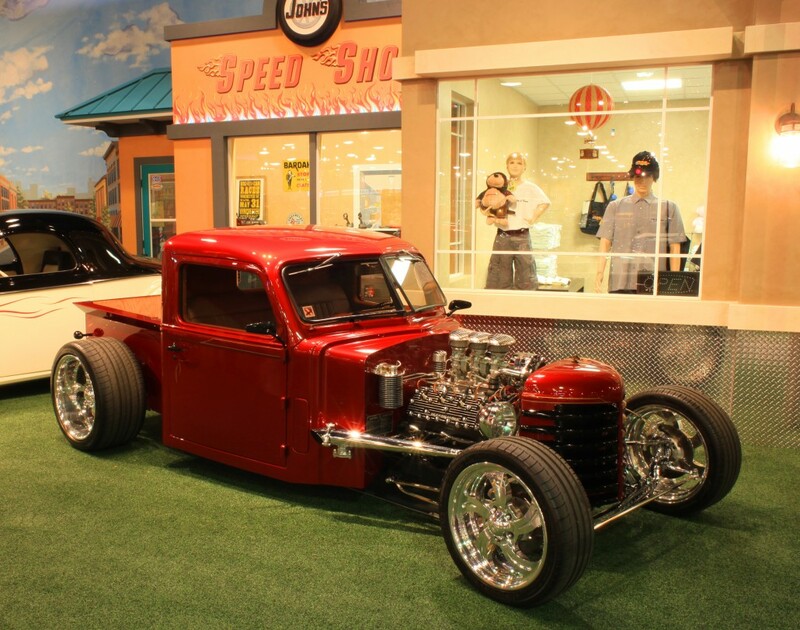 To permit usage of the lower-octane fuels, all engines featured low compression ratios (9 to 1 and lower; well below the 10.25-11.25 to 1 range on high performance engines of 1970 and earlier). 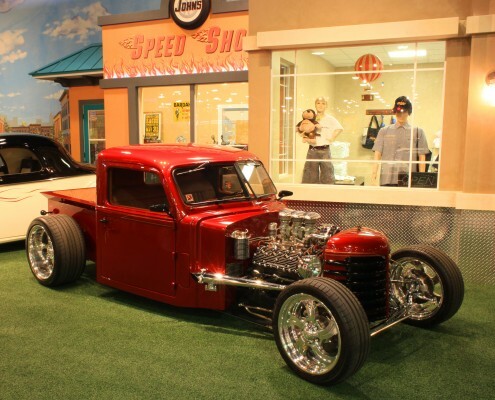 This move reduced horsepower ratings on the big-block engines to 300 for the 402 cubic-inch V8 but surprisingly, the LS-5 454 option got a “advertised” five-horsepower increase to 365. 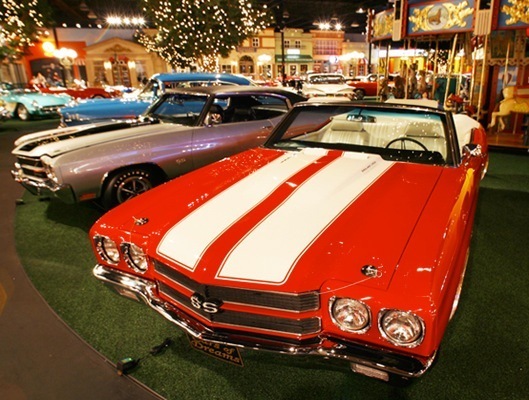 The LS-6 454 option, which was originally announced as a regular production option on the Chevelle SS for 1971, was dropped early in the model year and no official records indicate that any 1971 Chevelles were assembled with the LS-6 engine. In the face of declining musclecar sales following the “insurance surcharge” wrath of 1970, the Chevelle SS – at least in base form – changed from a specific performance car to a trim package, much like the original 1964-65 Chevelle SS models that pre-dated the introduction of the SS 396 in 1966. 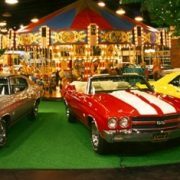 For 1971, the base Chevelle SS engine was a two-barrel 350 cubic-inch V8 rated at 245 gross (165 net) horsepower and optionally available was a four-barrel carbureted version of the 350 V8 rated at 275 gross (200 net) horsepower. The big block engines of previous years were now extra-cost options including the 402 V8 rated at 300 gross/270 net horsepower; and LS-5 454 V8 with 365 gross and 285 net horsepower. Chevrolet specifications for 1971 included both “gross” and “net” horsepower figures for all engines to ease the transition to 1972 and later years, when Chevy and other manufacturers only listed the “net” horsepower ratings. The 1972 Chevelle SS had a top engine rated at 270 net hp (201 kW) conforming with GM’s decree that all engines were to be rated at their net engine ratings. Despite the lower rating there was no evidence that power had actually changed on production cars of that year. All other engines on the SS roster were unchanged from 1971. 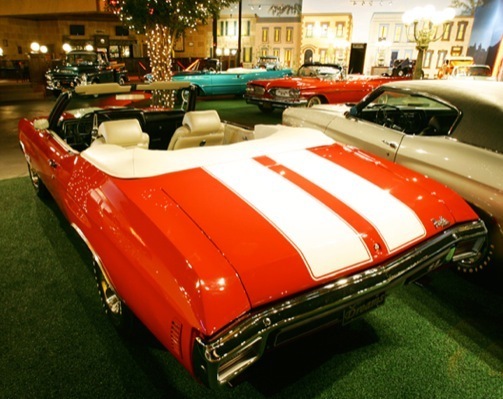 In mid-1971 and continued through 1972, the base Chevelle coupe was offered as the “Heavy Chevy” model featuring special striping and other appearance items. The “Heavy Chevy” was available with any V8 engine offered in the Chevelle roster ranging from the 307 two-barrel to the 402 four-barrel. However, the 454 big-block was only offered with the “SS” package and not available with the “Heavy Chevy” option. 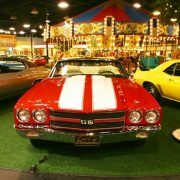 Many customers, however, chose the Chevelle as an economical family car that, while not as expensive to operate as larger models (including the Chevrolet Impala), had enough room to seat a family of five in reasonable comfort. 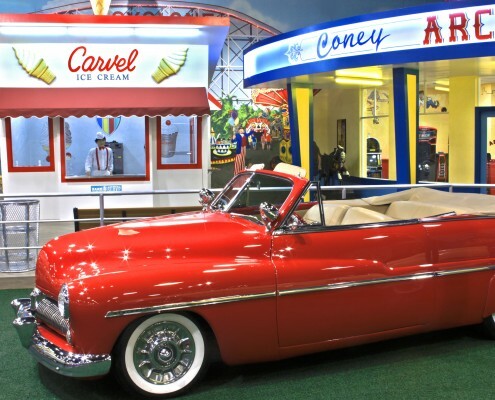 Popular convenience items ranged from power steering, power brakes, automatic transmission, air conditioning and stereo radio; plus appearance items including vinyl top, full wheel covers and whitewall tires.